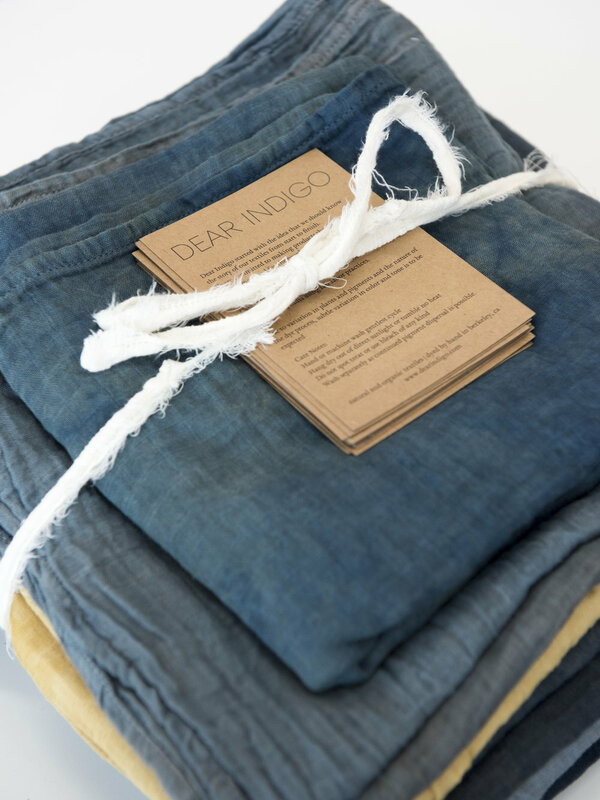 Dear Indigo started with the idea that we should know the story of our textiles from start to finish. Every piece we make is sewn and naturally dyed by hand in California using plants and plant-based pigments without chemicals. Our GOTS certified organic cotton is milled in Tamil Nadu, India using fair labor practices.